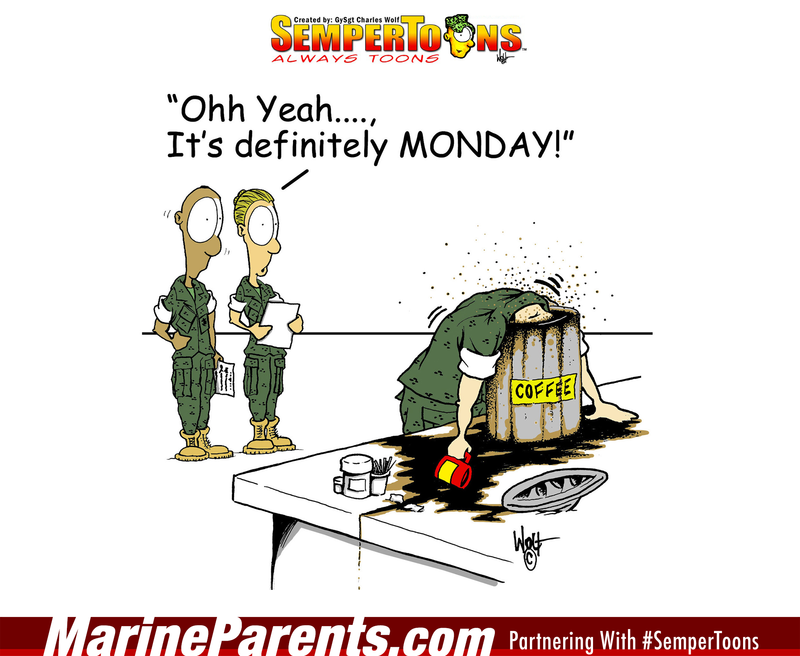 Gunny Wolf from SemperToons has created this cartoon that features a cartoon situation in which two Marines notice another Marine with his head in the coffee pot, guzzling all the coffee. The female Marine off to the left says to the other, "Ohh yeah...It's definitely Monday!" Shop Monday SemperToons at the EGA Shop.